The world of wireless communications is full of names, acronyms and numbers. These different types of wireless communication technology are built on wireless ‘standards’, each suited for different uses. Some key wireless standards are grouped under household names such as WiFi, Bluetooth and cellular ‘mobile’ networks. Whilst most of us enjoy the benefits of these standardised forms of wireless communication every day it can be a complicated world to navigate when you want to develop a wireless product or system. 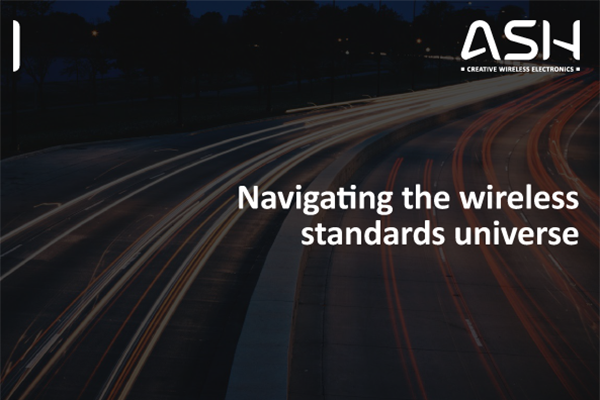 If you are considering replacing a wired system for a wireless one your exacting requirements need the best t, and this guide will help you navigate the wireless standards universe behind your decision.